Cary J. Mogerman, Esq. Joseph J. Kodner, Esq. Are You Getting a Divorce in Missouri? Attorneys Cary J. Mogerman and Joseph J. Kodner understand your needs. During their years of practicing family law, they have helped hundreds of individuals navigate the maze of divorce. 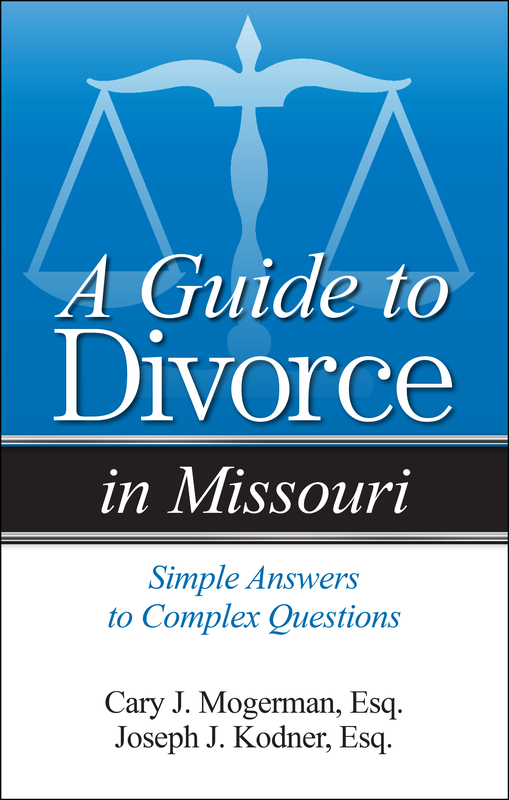 In A Guide to Divorce in Missouri they answer not only the questions on your mind but also those you may not have thought to ask. Is Missouri a community property state?—and what does this mean? Who decides who gets the house, the cars, and the pets?